Homeschooling a preschooler is a precious season in life! They are gaining independence, and are filled with curiosity. 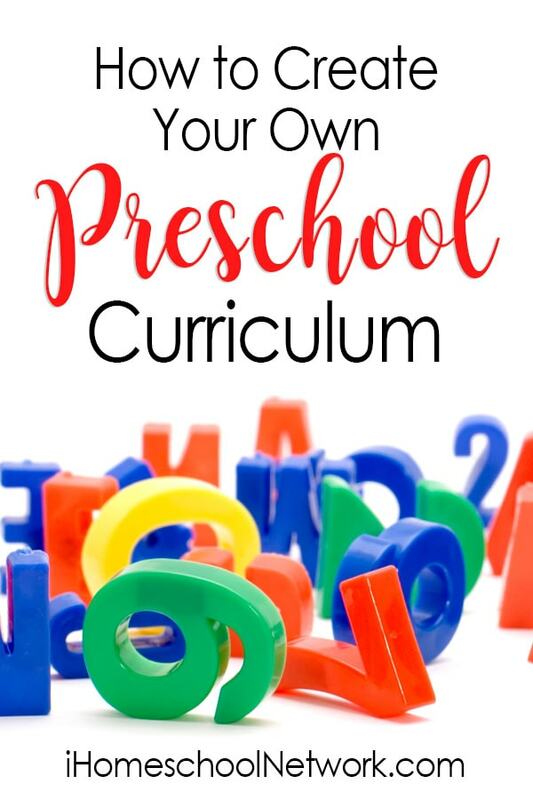 Whether you want to dive into academics with your preschooler, or you want to take a more informal approach, you can create your own preschool curriculum. There are wonderful preschool curricula to choose from, but with all of the free resources out there, putting together your own curriculum or informal preschool plan for your child doesn’t have to be complicated.Not only will you save money, but you can make sure that your child’s specific needs and interests are met. Including ALL of these areas might be challenging! Pick the areas that you want to share with your child the most. Which areas could be worked into your day without actual preparation or lessons? For example, if music is a priority, but not your top priority, find ways to incorporate it into your daily rhythms. Your schedule might be planned out by subject, or just by daily rhythms. Our very informal schedule looks like this: read books, play outside, eat lunch, rest. The only time-frames we’re confined to is lunch and rest. If you’re looking for more structure, plan out how long you’ll spend on certain areas. Make sure to consider your child’s needs. Preschoolers often have short attention spans, need to move their bodies frequently, and of course, need snacks! Make your schedule realistic and flexible. With so many resources available to you, getting resources and planning your own preschool curriculum will be simple. I’ve included some ideas and resources for each area mentioned above to help you get started. You can plan a very broad outline of your year at first, and then fill it in with more details as your year progresses. You can see this list of preschool and kindergarten math milestones from PBS. Free preschool math printables and activies from Look, We’re Learning! Many libraries offer a program called 1000 Books Before Kindergarten, which encourages families to read to their children during these crucial developmental years. You can learn more about this program here. For an informal preschool approach, plan a morning time to get in a regular reading routine. You can see our preschool morning time plans here. Read science books to your child. Here’s a good roundup from Stir the Wonder. Science and nature study go hand-in-hand! Preschoolers can learn a lot about science simply by observing the great outdoors. Just get your child outside and help him or her pay attention to plants and animals: this counts as nature study! Here is an Ultimate Guide to Nature Study from Our Journey Westward to help get you started. Other areas can also be integrated with nature study. To integrate art, keep a nature journal with your child. Make sure your child gets plenty of physical play by encouraging him or her to run around and play while outside.You can also read nature-themed books to integrate literacy and nature. Encourage your child to observe beautiful pieces of art. Hang up classic pictures in your home, visit art museums, and buy packs of art postcards- like this lovely (affiliate link) Georgia O’Keeffe postcards set. Young children should have lots of opportunities for process art: creating without necessarily having a finished product in mind. If your child seems ready for more formal art instruction, sign him or her up for an art class at a local rec center or art studio. There are also online art lessons available through sites like The Masterpiece Society. Even if your child isn’t ready to learn a musical instrument, exposing him or her to music at an early age is important! Listen to different types of music together, and draw their attention to different musical instruments. Simple (affiliate link) toy drums or (affiliate link) xylophones are a fun way for little ones to experiment with rhythm and tunes. When you are ready to start your child in music lessons, consider the ukulele as a beginning instrument! Each day, you can help your child practice life skills! Plan time for chores, cooking, and taking care of pets. STEM integrates science, technology, engineering, and math. Young children LOVE exploring these areas. If you’d like to incorporate STEM into your preschool at home, search for simple projects for your child to work on. Here is a round-up of simple STEM ideas from Royal Baloo. You can also find lots of great STEM ideas on Pinterest! This is a big one for us! Much of our learning at home is play-based and child-led. If this is your focus, allow your child plenty of unscheduled time to play and explore as he or she wants to. Child-led play is very important, so avoid too many organized activities and let your child come up with ideas on their own. You don’t have to entertain your child; creativity happens when boredom sets in! If you know a foreign language, then you have an advantage here! Teach your child a few words a day. For the rest of us, this can seem like an impossible feat! But there are so many apps and free resources available to you! Check your local library for videos and programs. Teach Beside Me has a big roundup of free Spanish language resources here. If you have a friend or family member who speaks another language, invite them over and ask for their help in this area! Making your own preschool curriculum gives you lots of flexibility. You can custom-make your own curriculum that is tailored to your child. With these resources, you can decide for yourself what will help your child thrive! 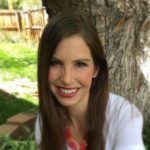 Leah Martin has a Master's degree in Reading Curriculum and Instruction, and can't wait to teach her children (5 year-old girl, 2.5 year old boy, and 8 month old boy) how to read. They use the Charlotte Mason philosophy in their home. Leah learned it while teaching at a Charlotte Mason school, and it changed the way she viewed parenting and educating forever.